" I wonder if that´s all life really is, just smears of color." I knew this writer in This Heart of Mine and I really enjoyed her writing, when I saw her new release I picked up without even reading the synopsis. When I received and read the synopsis, I was afraid whe I read it was a thriller because I did not like this genre very much, but what was not my surprise when I started reading and realizing that it was more a romance than a thriller. I loved this ! Chloe had her whole life transformed after a family problem that forced her to move from where she lived. She believed that she has the perfect family, the perfect boyfriend, the perfect friends, the perfect life, but we know that nothing in this world is perfect and she will discover it at a hard way. On a ride with her father, Chloe bumps into Cash, a serious kid taken from a badboy who implies with her right away. Cash had a very hard childhood and locked himself in a shell to protect his heart. From foster home to foster home he closes himself even further. Now he is in Fullers' home, a grieving family who has lost they young daughter. In this family, he finds the love, but he resists to it for think taht he does not deserve love. Upon meeting Chloe, he is intrigued by the girl's resemblance to the biological daughter of the Fullers and begins to approach her to know what exactly happened with the girl. 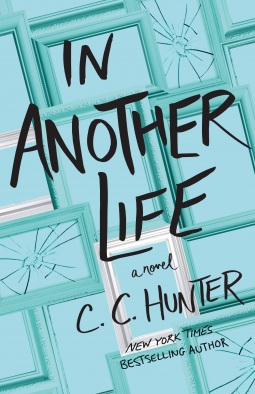 In the midst of a delightful romance, parallel plotting, a certain suspense and tension, CC Hunter creates a plot about acceptance, strength, second chances and love leading the reader to delve into the lives of these characters and cheer to know who Chloe is and what Cash did in the past to be so distressed. I really liked the ending chosen for Chloe's mother, I really liked the cover and the plot although I think that at times it got a little repetitive and that the writer could have developed the suspense better. ARC was provided by the publisher via Netgalley in exchange for an honest review. 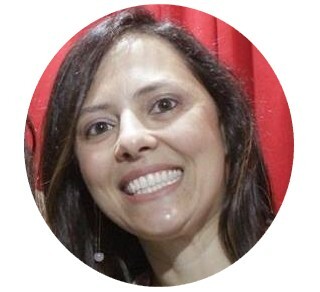 Conheci esta escritora em This Heart of Mine e gostei muito de sua escrita, quando vi seu novo lançamento peguei na mesma hora sem nem ler a sinopse. Ao receber e ler a sinopse, fiquei receosa por dizer ser um thriller e não curto muito este estilo, mas qual não foi minha surpresa ao começar a ler e perceber que era um romance e não um thriller. Adorei ! Chloe teve toda sua vida transformada depois de um problema em família que a obrigou a mudar de cidade. Ela acreditava ter a família perfeita, o namorado perfeito, as amigas perfeitas, a vida perfeita, mas nós sabemos que nada neste mundo é perfeito e ela a duras penas irá descobrir isso tambem. Numa saida com o pai, Chloe esbarra em Cash, um garoto sério tirado a badboy que implica com ele logo de cara. Cash teve uma infância muito dura e se fechou numa concha para proteger seu coração. De lar adotivo em lar adotivo ele se fecha mais ainda até para no lar dos Fullers, uma família tambem sofrida que perdeu a filha ainda pequena. Nesta família, ele finalmente encontra o amor, mas resiste a ele por não se achar merecedor. Ao conhecer Chloe ,ele fica intrigado cm a semelhança da menina com a filha biológica dos Fullers e começa a se aproximar dela para saber o que realmente pode ter acontecido. Em meio a um gostoso romance, tramas paralelas, um certo suspense e tensão, C.C. Hunter cria uma trama sobre aceitação, força, segundas chances e amor levando o leitor a mergulhar na vidas destes personagens e torcer para saber quem é Chloe e o que Cash fez no passado para ser tão angustiado. 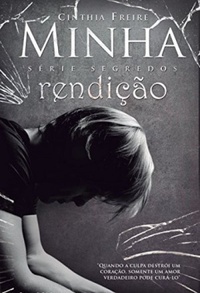 Gostei demais da capa e da trama apesar de achar que em alguns momentos ficou um pouco repetitiva e que a escritora pderia ter desenvolvido melhor o suspense.